Scratched and torn photos can be repaired. 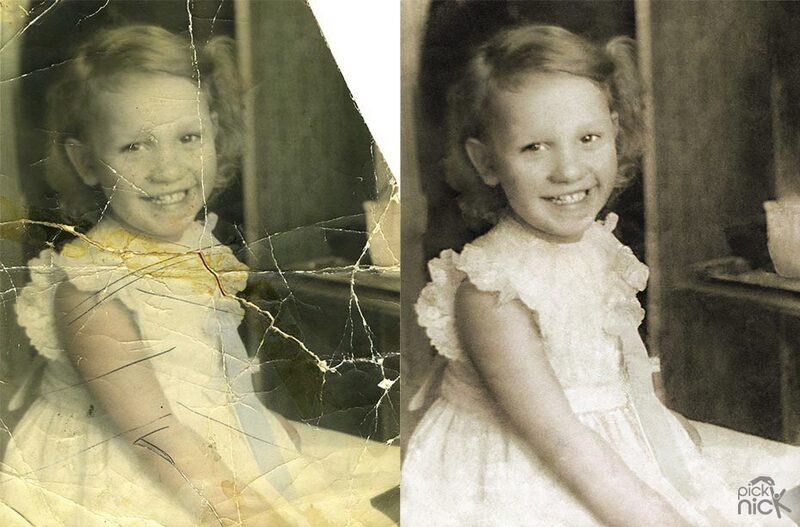 With my photo restoration service old photos are given a new lease of life. Faded photos are one of the most common issues. Fading can be repaired and restored back to their glory days! You may think a photo in pieces or missing sections is ready for the bin... Fear not, it is possible to reassemble and recreate those missing areas (within reason). Dreamed of seeing your favourite black and white photo in colour? Colourising brings old photos to life! Photo restoration is so important because you are restoring the captured moments of your family history for future generations to enjoy. It is likely that you have a collection of old photos but over the years they will fade and deteriorate - however by acting now an old photo can be restored. By having your photos restored, it will not only create a backup but it will give your grandchildren and great grandchildren a visual insight into their family tree. 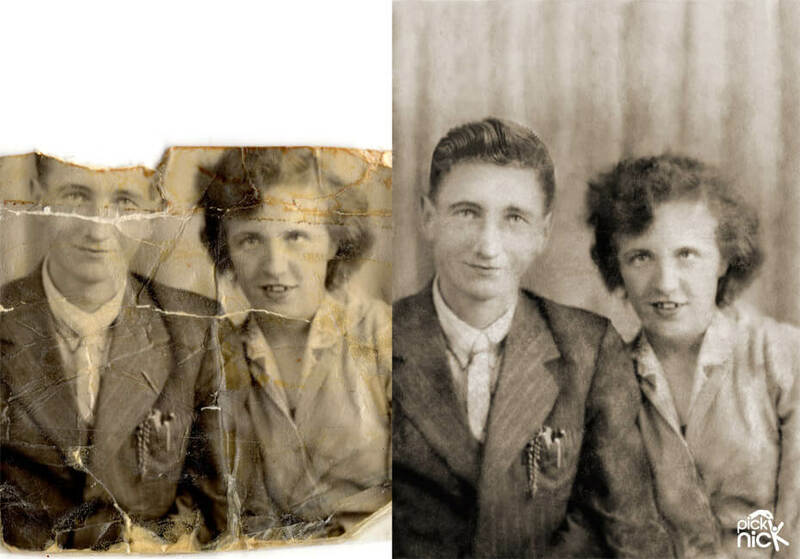 Restoring your photos is particularly rewarding if you have an interest in genealogy, as the newly restored photo may reveal information you had once never noticed. With over 10 years' photo restoring experience, your photos are in safe hands and will not affect the original. Your photo will be scanned in at a high resolution which will ensure as much detail is preserved. 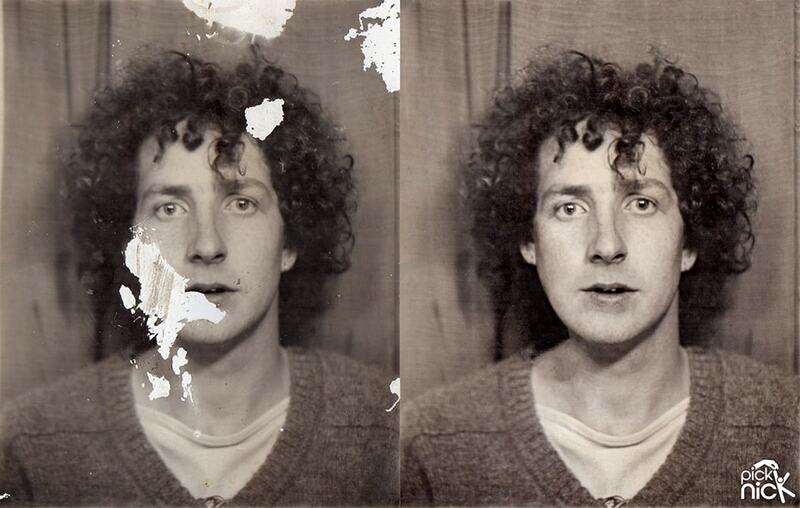 The scan will then be digitally restored and a proof supplied to you for your approval. Don’t let those moments fade away, have them restored today! I offer an online and local service, I am based in the Maidstone / Medway area, Kent. 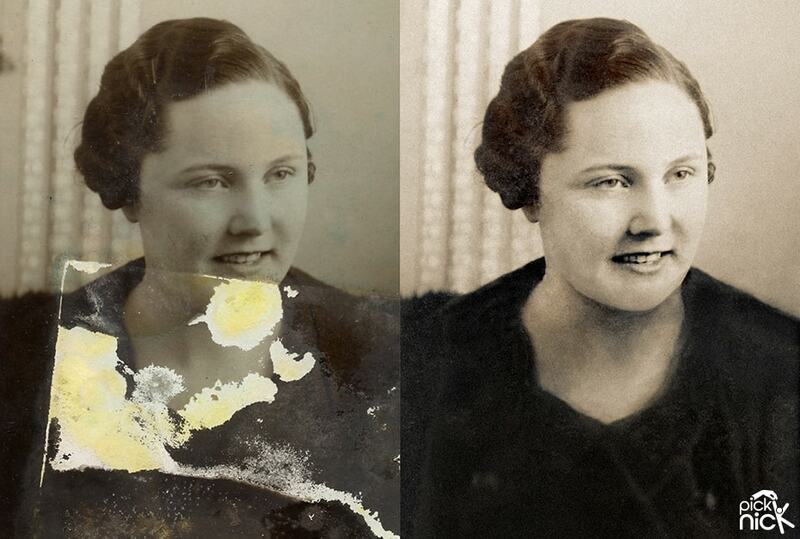 Here are a selection of photos showing before and after restoration. Each example can be enlarged. Looking for a black and white photo colouring service? Since every photo is unique, the cost of photo restoration will depend on the extent of the damage, size and quality of the original. Restore prices start from £10. Prices are based on per photo.